Now that my gallery exhibit is printed and hanging, the opening is over and the house chores are underway, I finally have time to photograph. I have had a great week so far. 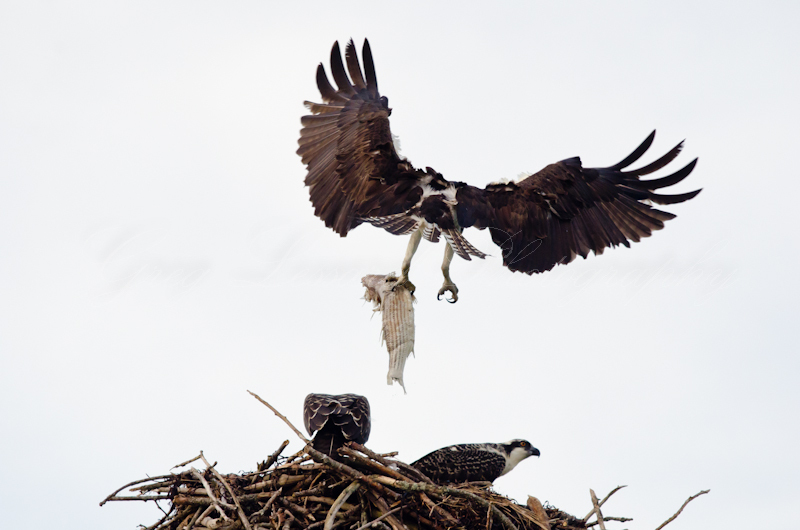 The stars of my latest adventures have been a local family of osprey. The chicks have recently fledged. One of them still has trouble flying. It takes off like a drunken sailor and looks like it will crash at any moment, but it is quite able to scare the heck out of the local seagulls! This family hangs out between four locations; their nest, two dead trees and some old pier pilings. 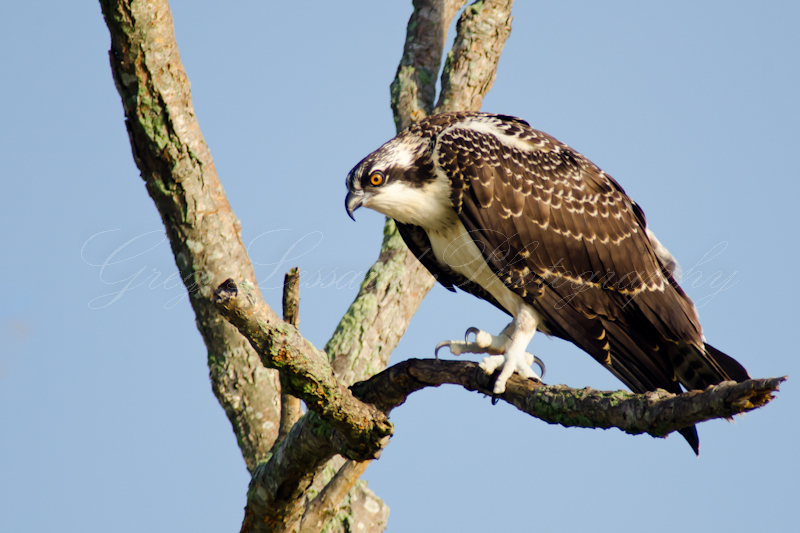 So long as I stay low and quiet, the osprey do not mind my presence. The adult male is an excellent hunter. On my first visit he brought home a nice striped bass to his fledglings. I was thrilled to catch him in the act even if he had his back turned towards me. He was exhausted and panting heavily from his efforts. I often see him flying far out over the ocean in search of prey. Sometimes he heads inland to a local pond. While he is out, the female always stays in the neighborhood to keep a watchful eye on her youngsters. I have enjoyed watching these magnificent birds on three separate occasions. It is nice to see that the osprey population is reestablishing itself since the DDT disaster of the 1960's when more than 90% of the population was lost. These osprey fledglings have been banded already, showing that local biologists are well aware of them. They are approximately two months old and should start hunting on their own pretty soon. The images displayed in the gallery are available for purchase. If you would like to buy one (or more:) of the images, please email me with your request GregLessardPhoto@aol.com The images can be made larger or smaller to fit your needs. If you buy two framed images featured at the gallery there is a 10% discount. If you buy three or more, there is a 20% discount. Contact me today! 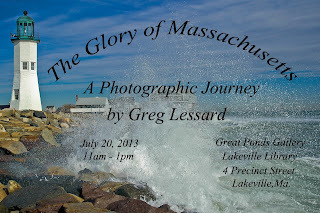 Thank you to everyone who came to the opening of my exhibit "The Glory of Massachusetts." It was fantastic to see so many people at the exhibit! It was a pleasure to chat with so many old friends and new acquaintances. Your kind comments are very much appreciated! Thank you for coming out on such a hot day. A number of people were curious about purchasing the images displayed in the gallery. They are indeed available for purchase. If you would like to buy one (or more:) of the images, please email me with your request GregLessardPhoto@aol.com The images can be made larger or smaller to fit your needs. If you buy two framed images featured at the gallery there is a 10% discount. If you buy three or more, there is a 20% discount. Contact me today! If you did not make it today, the exhibit will be on display at the Great Ponds Gallery in the Lakeville Library until the end of August. Thank you again to all who came out to see the "Glory of Massachusetts" today! 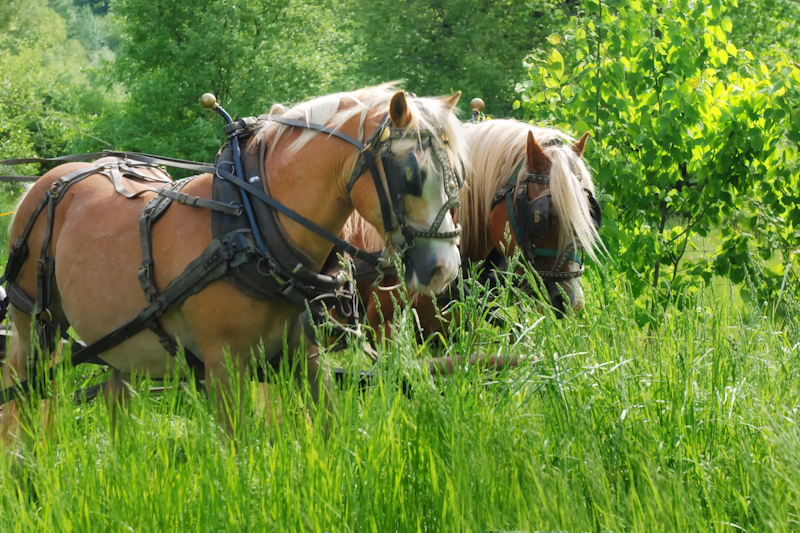 Halflingers are one of the most beautiful breeds of draft horses. Their long blond manes combined with their chestnut coats makes for a striking horse. Famed for their gentle nature, halflingers were bred as small, but reliable draft horses in Austria during the late 1800’s. 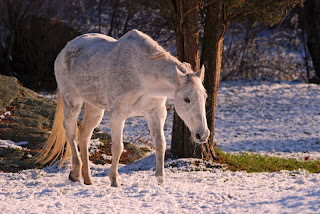 Their small stature comes from their lineage of Tyrolean ponies. They are quite common in the Alps of Austria and Northern Italy. Bob Buck, a resident of Middleboro, raises halflingers. He graciously allowed me to photograph his team as he plowed his vegetable garden on a hot day in May. These two halflingers were the oldest in Buck’s stable. They worked up quite a sweat plowing through the rich emerald fields of spring. To create this image, I wanted to show nothing of the modern world. This meant carefully including only the horses and the trees in the background. I made sure to keep an eye out for other objects from the farm that would give the scene away. In the original version of this image I accidentally included Bob’s shoe and the lower part of his leg covered in blue jeans. This was too modern for what I had envisioned, so I cropped the image even tighter. Having the background of the green grasses and trees was not an accident. Once I had spotted this area on the farm, I asked Bob to turn his halflingers by that spot again and again. He obliged for about a dozen turns. This gave me plenty of opportunities to refine my images and wait for the perfect moment. Working with people and animals requires patience and sometimes with the right models, they will work with you to create an even better image. This Month’s Tip: Don’t be afraid to create or even recreate a scene. Sometimes you can get a second opportunity at that once in a lifetime image. If the moment passes and you weren’t ready, see if you can arrange the elements of the image to try again. In this case, I knew what I wanted and I directed Bob towards a particular spot on his farm again and again… It was definitely worth it! I hope you will join me at the opening on July 20. Thank you again to Sue Scheible for writing such a nice article! The image accompanying this post is called "The Light Within". I made this image on New Year's Eve after a fresh snowfall. I was fortunate that the owner of the barn was willing to let me play that evening! A Whole Page in the Gazette!! I hope you will join me at the opening on July 20. Thank you again to Jane Lopes and Matt Ferreira for such an amazing article!! 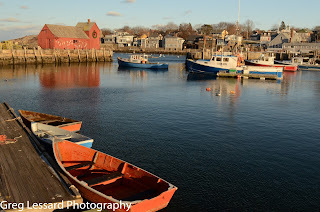 The image accompanying this post was made at Rockport Harbor in 2011. I am proud to announce the opening of my latest portfolio, "The Glory of Massachusetts." The portfolio will be presented at the Great Ponds Gallery in the Lakeville Library from July 20 - August 30. There will be an opening reception on Saturday, July 20 from 11am-1pm. Light refreshments will be served. 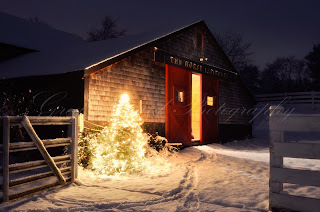 The portfolio will feature thirty of my favorite images that portray Massachusetts from Cape Cod to the Berkshires. The portfolio will include some of my classics as well as newly released works. In addition, the presentation will include the stories behind the images and their subjects. I have compiled these images for nearly a decade and I am looking forward to sharing them with you! 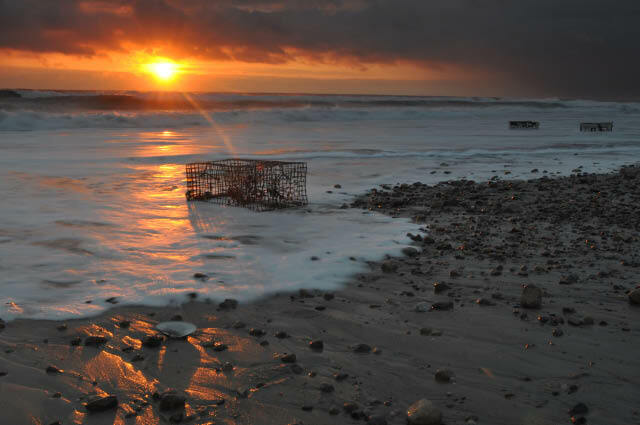 I will lead a free photo walk at Duxbury Beach on Thursday, July 18 from 9:30-11:00. No registration is necessary. 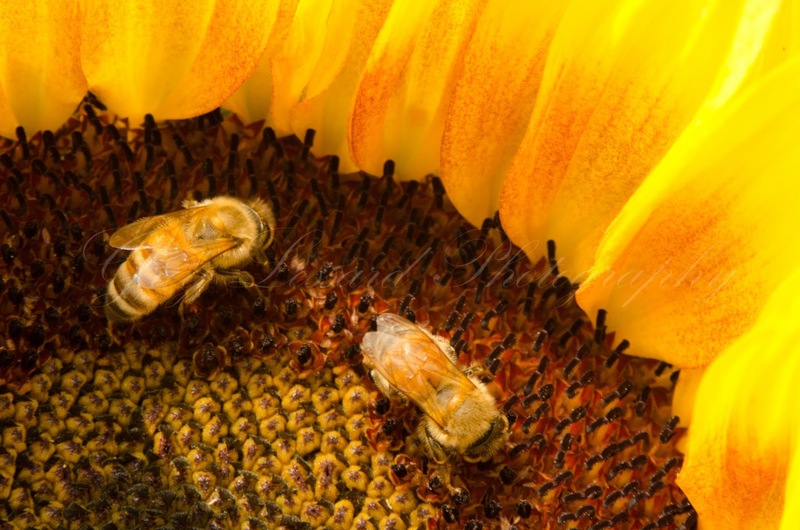 This workshop is sponsored by the Massachusetts Audubon South Shore Regional Office and the Duxbury Beach Reservation, Inc. We will meet at the Duxbury Beach parking lot. The parking lot is across the Powder Point Bridge on the right. Be sure to tell the harbormaster you've come for the Mass Audubon program. During the workshop, we will go for a short walk along the beach and look for subjects that catch our eye. Along the way we will discuss a variety of photography topics including composition and exposure. All levels of photographers are welcome. Beginners are especially encouraged to attend. For more info call 781 837 9400.